SiriusXM today announced its wide-ranging audio coverage for Super Bowl LII, offering multiple live broadcasts of the game in seven languages, a dedicated Super Bowl LII pop up channel, plus an unparalleled mix of sports, entertainment and music programming throughout Super Bowl Week. 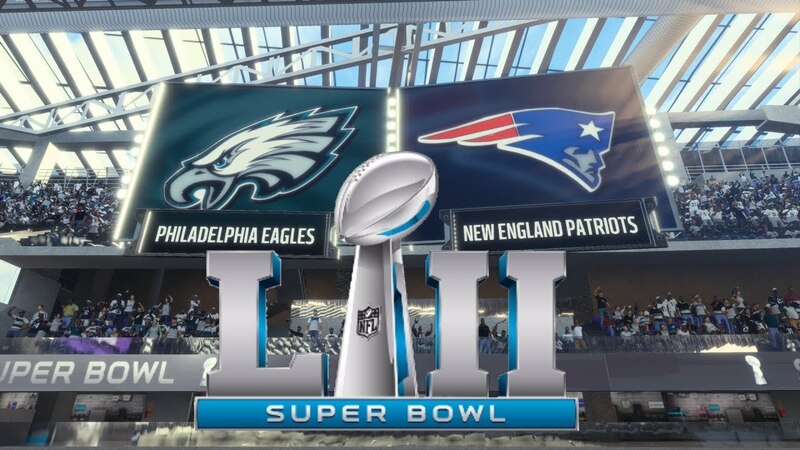 On Sunday, February 4 (6:00 pm ET), SiriusXM's coverage of Super Bowl LII from Minneapolis will provide listeners with nine different game broadcasts to choose from. All broadcasts air nationwide on satellite radios, and are also available on the SiriusXM app and at SiriusXM.com for authenticated subscribers with the SiriusXM All-Access package. During the Pepsi Super Bowl LII Halftime Show, SiriusXM will offer listeners a broadcast of the on-field musical performance by Justin Timberlake on SiriusXM Hits 1. SiriusXM NFL Radio (channel 88) will broadcast live from the SiriusXM set at the Mall of America throughout Super Bowl week, offering listeners the latest news and expert analysis, plus dozens of interviews daily. SiriusXM NFL Radio hosts in Minneapolis will include Gil Brandt, Tim Brown, David Diehl, Torry Holt, Pat Kirwan, Ryan Leaf, James Lofton, Ed McCaffrey, Jim Miller, Lance Moore, Kirk Morrison, Geoff Schwartz, Ross Tucker, Bob Papa, Alex Marvez, Bruce Murray and Howard Balzer. On Saturday, February 3, SiriusXM NFL Radio will have live interviews from the red carpet before the annual NFL Honors event that salutes the top players and performers of the 2017 season, including the Walter Payton NFL Man of the Year presented by Nationwide, the AP Most Valuable Player, AP Coach of the Year and more. Listeners will also hear live coverage of the announcement of the Pro Football Hall of Fame's Class of 2018, plus interviews with the newly selected Hall of Famers. Several other SiriusXM sports, entertainment and music channels will broadcast from the SiriusXM set at the Mall of America, culminating in a showcase day of programming on Friday, February 2. Jenny McCarthy will host a special edition of The Jenny McCarthy Show live from the Mall of America on Friday at 10:00 am ET/9:00 am CT (SiriusXM Stars, channel 109). Joel and Victoria Osteen will tape a special show from the Mall of America at noon ET/11:00 am CT on Friday (airs Friday at 5:00 pm ET on Joel Osteen Radio, SiriusXM 128). Sway Calloway will host Sway in the Morning, his daily show on Eminem's Shade 45 channel, from the Mall of America on Thursday and Friday at 8:00 am ET/7:00 am CT (SiriusXM 45). Gary Dell'Abate and Jon Hein will host The Howard Stern Wrap Up Show on Howard Stern's exclusive SiriusXM channel, Howard 100, on Friday at 11:00 am ET/10:00 am CT live from the Mall of America. Super Bowl LII Radio is now airing as a special week long pop-up channel (SiriusXM 145). 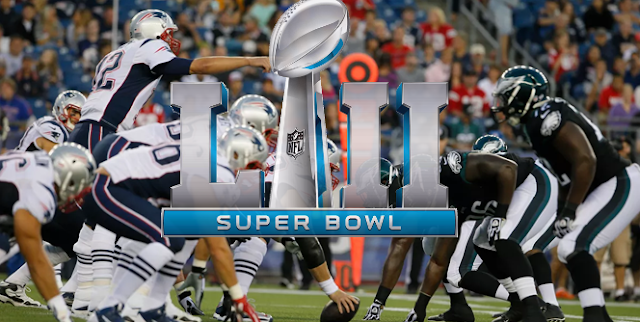 The channel will curate and present the best programming happening across several SiriusXM channels during Super Bowl Week with live "listen-ins." Listeners can tune in to hear all the highlights – the best interviews from Minneapolis, SiriusXM's sports experts, celebrity specials and more – all in one place, plus broadcasts of classic games. Throughout the week, Super Bowl LII Radio will be a valuable resource for fans seeking info on the NFL activities happening in Minneapolis. These include the NFL's interactive theme park, Super Bowl Experience, which offers autograph and photo opportunities and activities for fans of all ages throughout the week. Super Bowl LII Radio will also provide helpful game day specifics to help fans get to and from U.S. Bank Stadium, prepare for stadium security and attend pre-game events at the NFL's GameDay Fan Plaza. Super Bowl LII Radio and SiriusXM Volume (channel 106) will also present an hour-long music special during Super Bowl Week that focuses on "The Minneapolis Sound" that showcases the music of iconic artists like Prince, Janet Jackson, The Time and others. The Sound of Super Bowl City, hosted by SiriusXM Volume host Alan Light along with special guest and legendary producer Jimmy Jam, airs on Super Bowl LII Radio tonight (7:00 pm ET/6:00 pm CT), and on SiriusXM Volume on February 1 (7:00 pm ET/6:00 pm CT), and will re-air multiple times on both channels throughout the week. SiriusXM's Mad Dog Sports Radio (channel 82) will broadcast live from the Mall of America throughout the week, featuring shows hosted by Christopher 'Mad Dog' Russo, Adam Schein, Evan Cohen and Mike Babchik, Steve Torre and Danny Kanell. SiriusXM NFL Radio, SiriusXM Fantasy Sports Radio (Sirius 210, XM 87), and SiriusXM Hits 1's Hits 1 in Hollywood hosts will broadcast several live shows in front of fans during Super Bowl week from the Super Bowl Experience and Super Bowl Live venues.